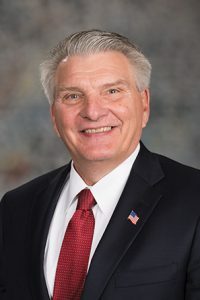 LB334, as introduced by Gering Sen. John Stinner, would eliminate the Angel Investment Tax Credit and appropriate the $4 million cost savings to the DED to fund programs under the Business Innovation Act. The Angel Investment Tax Credit was scheduled to terminate in 2022. Stinner said the Business Innovation Act funds five grant and loan programs that encourage innovation and startup businesses in Nebraska. The programs focus on early-stage businesses that need assistance raising capital to get their enterprises off the ground, he said. Elkhorn Sen. Lou Ann Linehan offered an amendment that instead would direct the $4 million to the Governor’s Emergency Cash Fund in fiscal year 2019-20 and each fiscal year going forward. Linehan said the fund—which has a current balance of approximately $400,000—is used to pay eligible costs related to emergency disaster declarations. In light of the recent flooding, she said, it would benefit the state more to direct any savings from terminating the tax credit to the emergency cash fund, which normally has a balance of $5 million. “Right now, we all know we have no option but to put the governor’s emergency fund back at $5 million—and here is $4 million that we can use to help close that hole,” Linehan said. Sen. Ben Hansen of Blair supported the amendment, saying the destruction the state has experienced makes flood relief a higher priority this fiscal year. “I think reinvesting [the money] in the governor’s emergency fund would be appropriate,” Hansen said. Bellevue Sen. Sue Crawford opposed the amendment, saying the Business Innovation Act is an outstanding economic development program that is under-resourced. “I do think that it’s important that while we make sure we’re investing sufficiently to help recover from the flood, that we don’t lose sight of our long-term needs in term of growing our state,” Crawford said. Linehan withdrew her amendment and agreed to work with Stinner between general and select file on a new amendment that would appropriate the $4 million to the Governor’s Emergency Cash Fund in the current fiscal year, but would allocate those funds to the Business Innovation Act in future years. • specify that beginning with the next biennial budget review process, the Appropriations Committee conduct a biennial analysis of the financial status and impact of programs funded under the Business Innovation Act. Sen. Robert Clements of Elmwood offered an amendment to the committee amendment, adopted 39-0, that would incorporate provisions of his LB452. The provisions would transfer Cass County from its current planning and development region to Region 8, known as the Metropolitan Area Planning Agency. 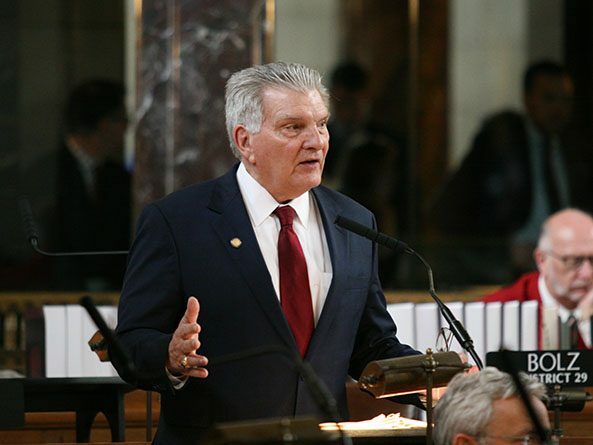 “This would allow Cass County to more effectively take advantage of the current planning and development connections that already exist with the Sarpy County metro area,” Clements said. The provisions also would place a moratorium on future boundary changes until July 1, 2020. Following adoption of the amendments, senators voted 41-0 to advance LB334 to select file.